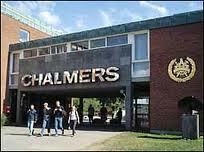 Two scholarships in total are awarded in 2012 to two selected students based on excellent academic merits, which primarily includes academic excellence but also home university´s stature (including position on global ranking lists) and priority order of the application for Chalmers Master´s programmes. Citizens from non-EU/EEA countries who are required to pay tuition fees for Swedish university education. However, students from countries on the UN embargo list are not eligible to be granted this scholarship. Amount: 100% of the tuition fees (4 terms/2 year programme). Demikian kami sampaikan tentang Ericsson Scholarship in Communication Engineering, Chalmers University of Technology, Sweden semoga informasi tentang Ericsson Scholarship in Communication Engineering, Chalmers University of Technology, Sweden ini bermanfaat.